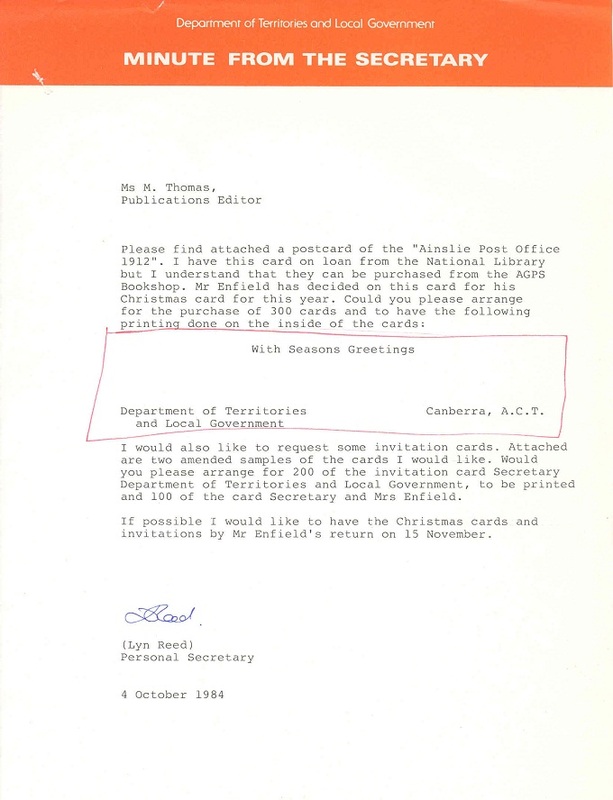 The files '81/3592 - Information & Public Relations Section - Invitation Cards' and '88/1487 – Public Information Section – Invitation Cards' contain a selection of Christmas Cards distributed in the 1980s by the Secretary for the Department of Territories, John Enfield (1983-1987). 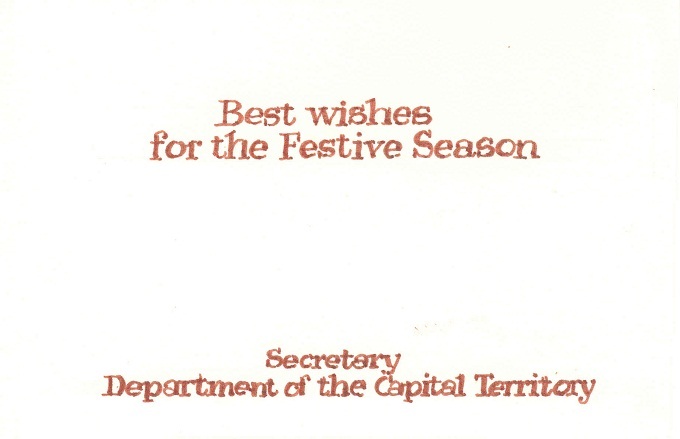 It is interesting to note the number of name changes the Department went through during this short period. 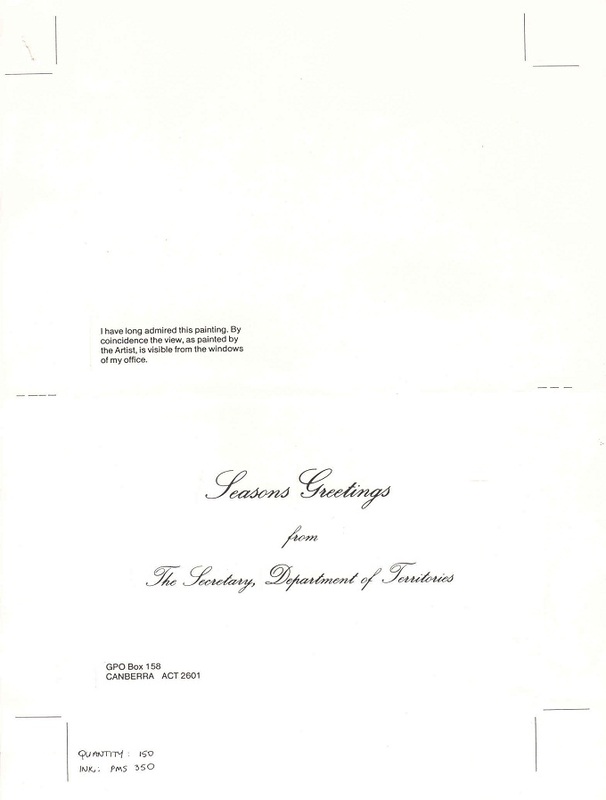 The card below was intended for Christmas 1982 but was postponed until 1983 as explained in the following minute paper. 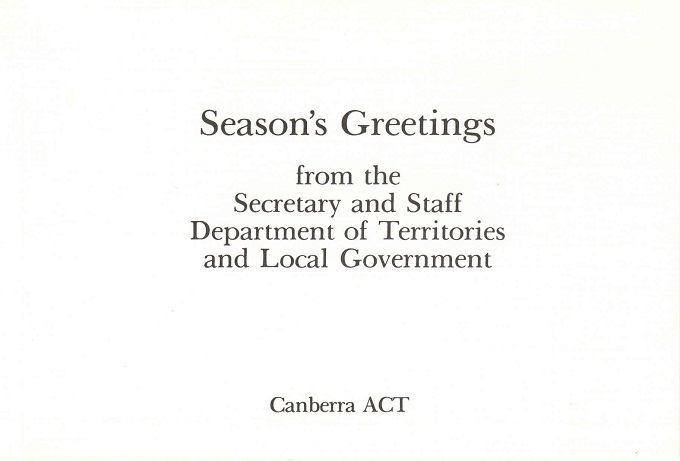 The following card was the one that was used in 1982. 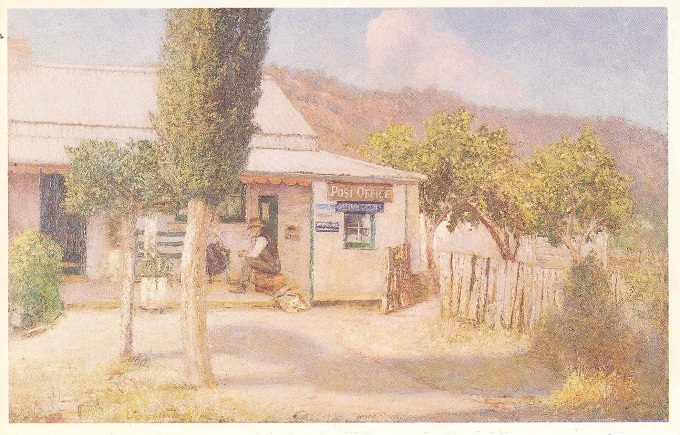 In 1984 John Enfield selected a card produced and sold by the National Library of Australia featuring a painting of the Ainslie Post Office in 1912. 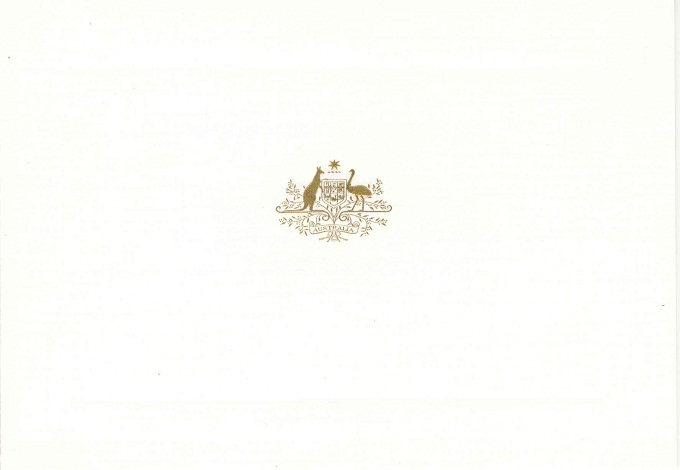 From the oil painting 60.7 x 91 cm by Joseph Wolinski in the National Library of Australia. 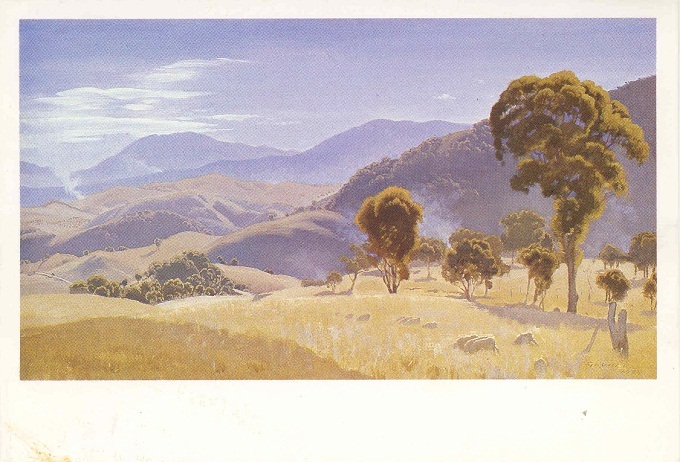 For 1985 he selected a card produced by the Australian National Gallery featuring a scene of the ranges south of Canberra. 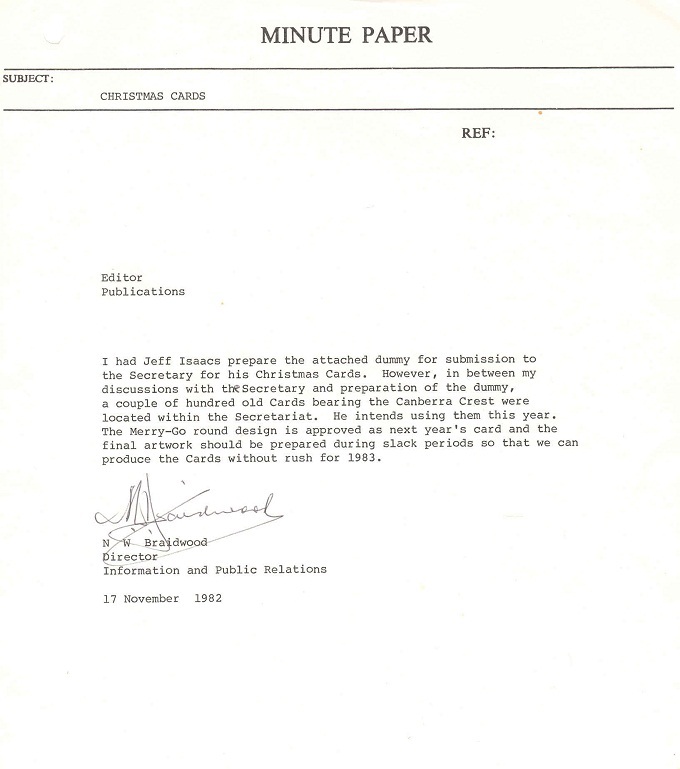 Below is the draft text and layout for the 1985 card. 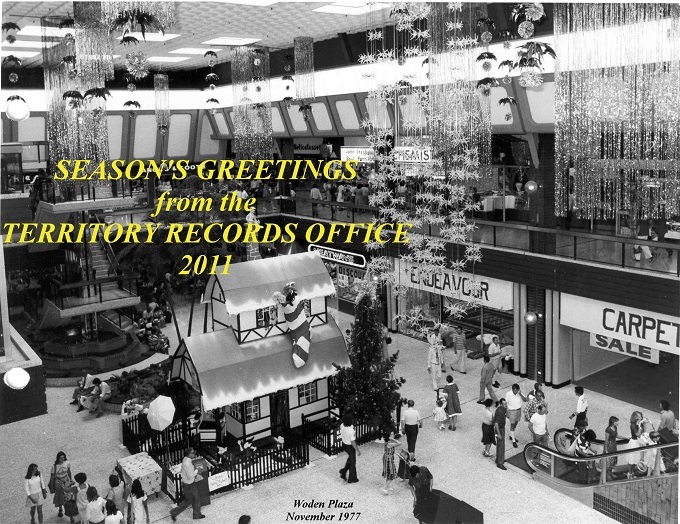 ArchivesACT and the Territory Records Office produce an eCard each year based around a photo found in our archives. 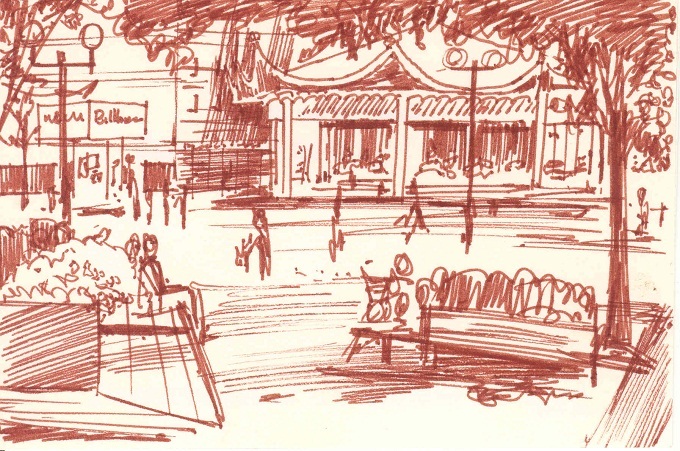 This is our eCard for 2011.